Madeline Cross, events and communications co-ordinator at youth homelessness charity the Rock Trust asks why it is so hard for young people to rent privately, and what needs to change. Exactly a year ago, I wrote a blog for the Rock Trust on the difficulties faced when trying to rent privately. I described the process that prospective renters have to go through to find a home, the questions they are asked, the deposits they have to pay, the references they have to provide, and the sheer competitiveness of it all. I questioned how any young person from a low-income background, in insecure employment, with no connections and renting history, would be able to secure a home in the private rental sector. It now feels very necessary to ask these questions again. Yesterday, after a year living in my new home, I was given ‘notice of eviction’ as my landlord has decided to sell the flat. I have been given 86 days to vacate. I now need to find my 3rd home in less than 2 years. I will be heading back into the vortex of flat searching, checking websites every day, having to view properties during work hours, many of which will probably look nothing like the photos online. I will be asked whether I earn over £18,000 before being allowed to attend a viewing. If I find somewhere I want to live, I will be asked for an immediate down-payment to secure it. I will be asked to provide references from my previous landlord and my employer. I will be asked to pay a deposit that is more than the cost of 1 month’s rent. I will not receive the deposit back from my current landlord until sometime after I’ve vacated, meaning I cannot use it to pay the deposit for a new flat. Let’s go back to the twenty year old on a zero hours contract. Let’s say they managed to find a flat that they could rent, despite their insecure employment and income. They managed to borrow the money they needed for a deposit on a flat, £800. They moved in and began making it their home. A year later, they are asked to leave the flat because the landlord is selling. They now need to find another £800, at least, for the deposit on a new flat. There is now nobody to borrow from. What do they do? 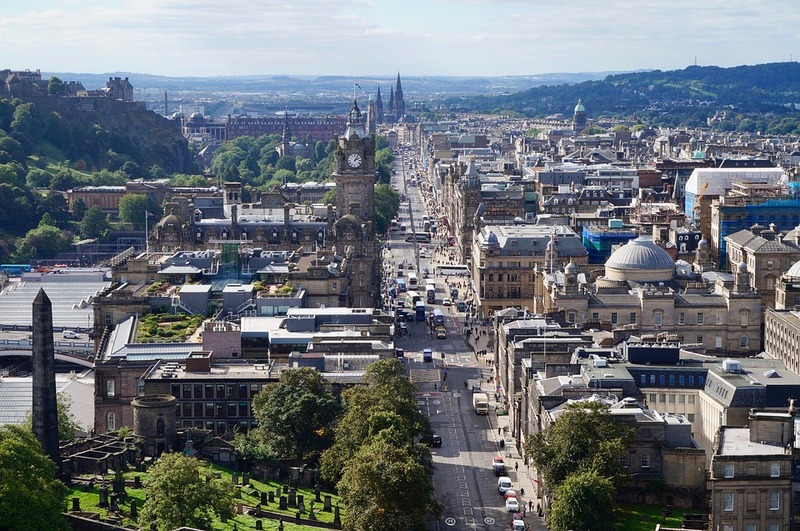 Scotland’s capital city, Edinburgh, is still considered one of the most expensive cities to live in Britain. Last year, City of Edinburgh Council cited the loss of private sector tenancies as a major cause of homelessness in the city (Local Government and Communities Committee Report on Homelessness). In many European countries, renting for your whole life is a cultural norm. Those who do not buy a home, either because they can’t, or because they don’t want to, are not made to feel like they have somehow failed. This is only possible because renters in these European countries are protected in more ways. Renters need security. In Scotland, we need the option of long-term tenancies, where we do not face the risk of being evicted for reasons outside of our control, after a few months or a year. We need a cap on rent increases that bare some relation to people’s salaries. We need to cap the amount people have to pay in deposits. Most importantly, we need to ensure that those in receipt of benefits, or on low-incomes, are not discriminated against. If you are aged 16-25 and the above issues are affecting you, or you know somebody in this situation, the Rock Trust can help. Contact Tammy.reilly@rocktrust.org for information on our Rent Deposit Scheme and how it can help young people facing financial barriers to the private rental sector. This blog was originally published on the Rock Trust website.